I’ve always been *very* bad at following directions, so I sort of started designing about the same time I started knitting…just because I was much more inclined to make something up myself than to follow someone else’s instructions! I started writing patterns for other folks not too long after, because along with being bad at following directions, I’m also hideously bossy and telling other people what to do comes far too easily. My first patterns came out in 2009, the first book was in 2011. I decided to make this my full time job in 2015, and it’s all just grown since then! I love nifty old things! I was most of the way through a PhD program in history when I quit to do the knitwear thing full time. But that love for history didn’t go away. It shows up in projects like the Knitter’s Curiosity Cabinet books (which used things like old botanical illustrations for inspiration), Fine Things for Plain Occasions (which drew on vintage etiquette guides), and Silk Road Socks (old rugs are a total weakness of mine…I’m helpless to resist). I think of swatching and charting as sort of the same action…one doesn’t happen before the other, they happen together at the same time. I usually doodle a chart or some notes (on graph paper postits…super high tech!) when I start swatching. 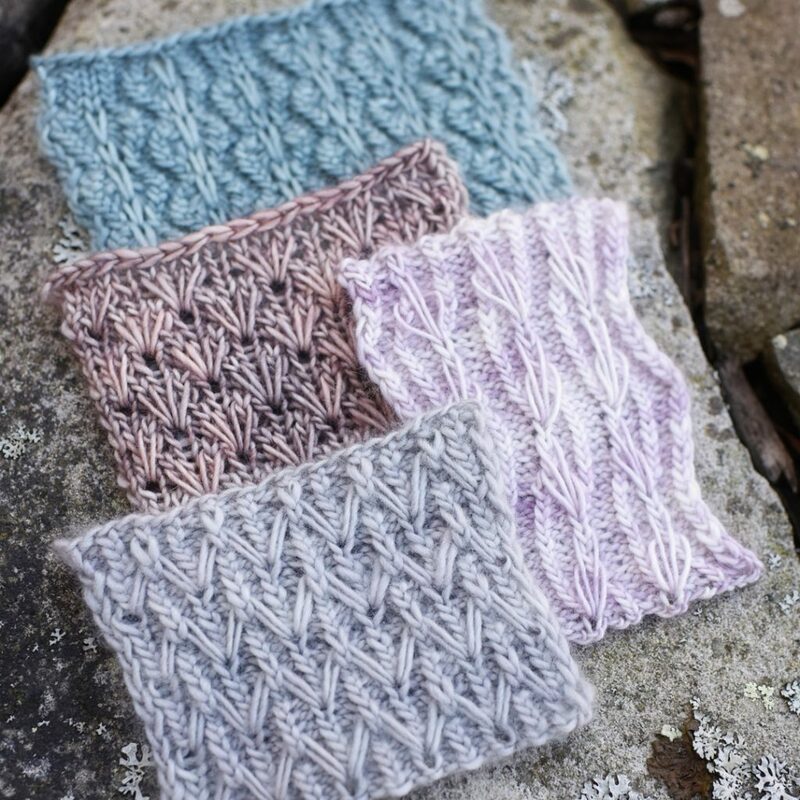 Then I take notes and updates the chart as I swatch and the swatch evolves (because they always evolve…always). At some point I rewrite my notes into something tidier (if I’m being clever…I confess this bit doesn’t happen as often as it should) , make the charts properly in Stitchmastery, write the pattern, then settle in to actually knit the finished piece. I love how flexible it is and how much control I have over how the finished charts look. That’s especially important for books, where I need to be able to use images that will print well, not just look good on a screen. I’ve never found something I couldn’t get it to do. And pretty much every time I actually get my act together and update (I’m so behind…why is motivating myself to update my computer so hard! ), I find you’ve made it even better! I’ve got two books coming out this year. 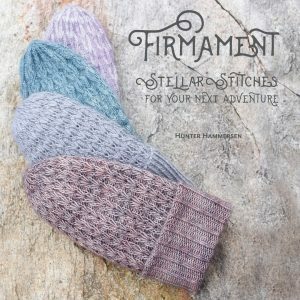 Firmament has just come out on pre-order and is part pattern book, part primer on how to play with a really neat family of stitches, and part mini stitch dictionary. Curls 3 comes out in October and it’s more of the lovely, easy to wear shawls, this time with a focus on patterns that work well with gradient or speckled yarn!